Non-voting stock is stock that provides the shareholder very little or no vote on corporate matters. Stephanus had a successful career in Advertising and Entertainment (TV/Film) on 4 continents before he had the honor of becoming an advisor to President Obama's 2010 Presidential Rank Review Board, a think-tank of Industry professionals that aided and ranked government leaders and helped them to communicate the change the country was going through. Stephanus worked for almost every large film studio in Hollywood including Dreamworks, Sony pictures, and Paramount Pictures. His work appeared on TV networks such as Fox Sports and MTV. In advertising, he worked with global brands such as Philips, Coca-Cola, IBM, ING, Heineken, CMG, and many more. 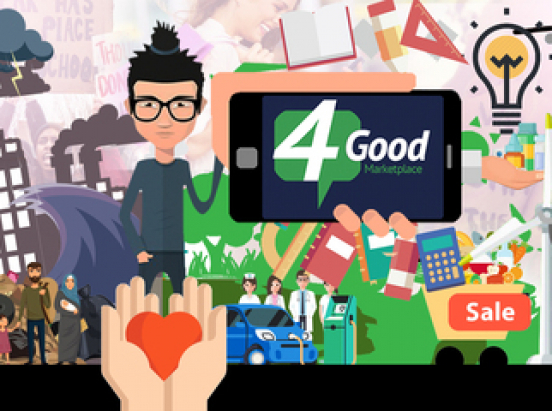 Using his experience, Stephanus created Social Impact Apps in the US and in Europe in 2015 - the company that created the base idea for 4Good Inc. Stephanus also wrote the book: Change For New Generations - How a Generation can Change the World! Today, Stephanus is Co-Founder and CEO of 4Good Inc. and is an Entrepreneur and activist who is passionate about Gen Z behavior and world change. Frank Woei is a market scientist with a keen understanding of the consumer psyche with twenty years of experience with marketing and successful startups. During his career, Frank lead a team of experienced scientists, technologists, academics, and market researchers to uncover the critical consumer drivers behind the success of Esso, Exxon, Qwest, LG Electronics, Geotek, AT&T Solutions, Samsung, and Nortel. Frank started Bellwether Interactive, an online market research and consulting firm in May, 2000. Frank has licensed the technology and business to P&G and Grey Worldwide. Frank also started Kalypso, an online company to market virtual companies - which was sold in 2011. Kalypso was funded by several large international funds. Today, Frank is Co-Founder and CTO of 4Good Inc, and an entrepreneur who is passionate about Ai and Blockchain technology. 1) 4GOOD ACTIONIST T-SHIRTS: Invest $500 or more and receive 2) ACTIONIST T-Shirts of your choice out of our store. CHANGE FOR NEW GENERATIONS - How A Generation Can Change The World: Invest $1000 or more and receive a beautifully illustrated hardcover (A4) book, written by our CEO and futurist: Stephanus Vermeulen. “Change 4New Generations” will capture your imagination with info-graphics and illustrations about the trends that are driving a future that is changing faster than ever before and the impact of the new Generations that are embracing it.